Growing your own food is very popular at the moment, and rightly so. Growing fruit trees is less work and potentially has high rewards compared to growing vegetables. Here’s my top tips on how to start growing your own fruiting trees. Start by creating a list of fruit you love to eat. It may sound obvious, but you’d be surprised how many people will plant unusual fruits, never having tasted them, wait 6 years for the first fruit and then decide they don’t like them. What a waste of space and effort. There are sure to be a couple of citrus in every list, no matter where you live. These would have to be the trickiest of fruiting trees to grow as they seem to get every insect pest and disease known to humans. But, with some special care and attention, you’ll have a flourishing citrus tree with Vitamin C at your fingertips. 2. Next, do some homework and take a look in a good reference book such as Louis Glowinski’s ‘The Complete Book of Fruit Growing in Australia’. Check out the climatic requirements to see if your chosen fruit will grow in your climatic area. It’s no good spending money on a mango if you get winter frosts or likewise, planting a sultana grape if you live in the tropics. However, apples, pears and stone fruit do exceedingly well with chilly winter nights and cool days as this assists in flower production and fruit set. 3. 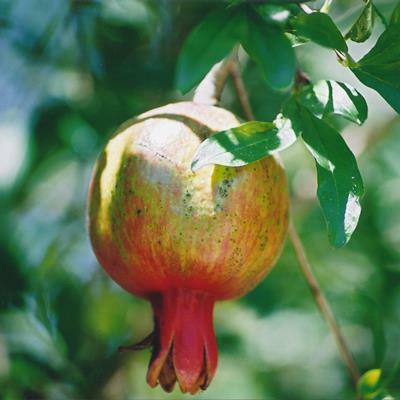 Choose fruit trees to suit your soil type. Fruiting trees like avocados are disastrous in poorly drained clay soils, as they suffer from phytophthora root rot and require a well-drained slope with deep soil. Citrus do best in a well drained spot too as they detest soggy roots yet love moist soil with good fertility. Prepare your soil well for the best possible results in your orchard. 4. Allow enough space for your trees. How much space do you need? When we buy a tiny tree, we often make the mistake of planting it too close to its neighbours. Fruit trees need space to spread, flower and fruit, and for air to circulate to minimise disease. As a general rule of thumb, I allow about 4-5 metres between orchard rows and each tree for dwarf fruiting trees. This will provide space for growth and harvest. 5. Soil preparation. Improving the soil before you plant is essential for a healthy tree. Most fruit trees enjoy a deep loamy soil that’s easy to get their roots into. You may need to add: gypsum to clay soils to break up the clay; lime or dolomite to acid soils to regulate the pH to about 6.5 and always compost and manures to increase fertility. Dig your planting hole twice the size of the tree root ball and fertilise the soil you’ve taken out of the hole. 6. Planting: Plunge a stake or two into the hole if you’re in an area of high wind before you plant the tree to avoid root damage if you add a stake later. Soak trees in seaweed liquid before planting and drench after planting with the same liquid to help reduce transplant shock. When planting, provide a ditch or donut shape around the tree so the water and rain can soak in. Secure to the stake with soft ties and mulch the surface of the soil, avoiding the trunk. 7. When to plant. In the past, deciduous trees like apples, pears, figs and stone fruit were only sold bare rooted and were only planted in winter. 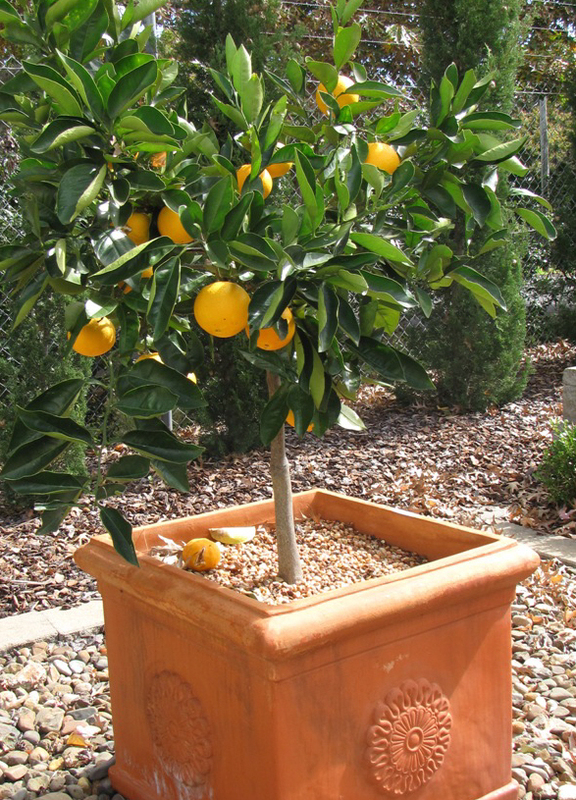 Now, fruit trees are purchased in pots and can be planted whenever they are available in the nursery. 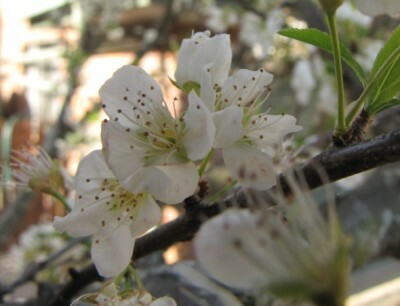 Spring is a popular time for choosing fruiting trees as many are in bloom and showing active growth. Planting fruit trees is planting a legacy for you and your family. While they may take many years to produce a bumper crop, the wait is worth it for the satisfaction and joy you’ll have in harvesting your own baskets of fruit for many more years. Did you know? Chill units…One chill unit equates to one hour below 7 C and some stone and pome fruits can be low chill (often called tropical types) or have high chill needs. Check with your local Primary Industries for a banana growing permit. They’ll tell you the varieties suitable for your area. Tropical Angel peaches White Satin nectarines. Tropical varieties have low chill requirements.